We are officially on a surf trip. The last few “surf trips” I have been on were spent in a car searching for anything that resembled a wave in one way or another, but this trip to Peru is different. For the first time ever, there are more waves than we know what to do with, and the forecast shows no sign of slowing down. A few days ago, I stepped off an airplane and was greeted by my friend Leane Darling along with her new friend, Peruvian big wave charger Jaime Venegas. 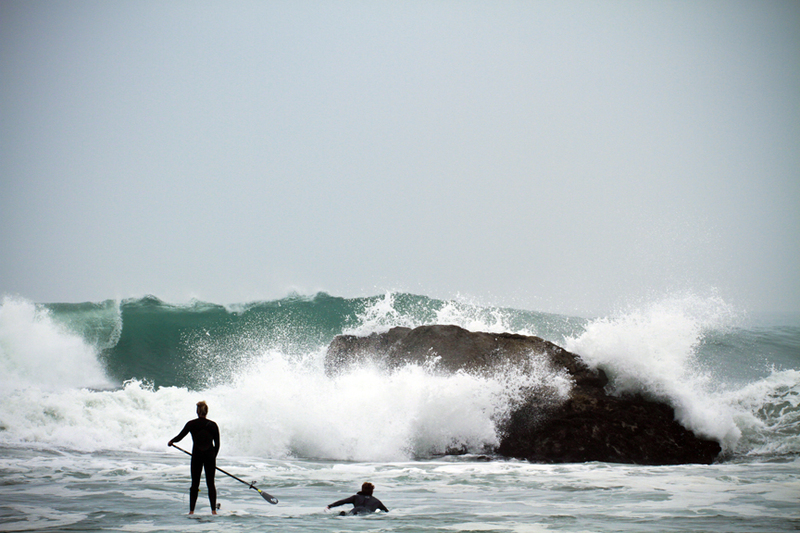 The two of them were smiling from ear to ear because they had just come from Pico Alto, a big wave spot in Punta Hermosa. Jaime explained to me that he had watched history take place that morning when Leane made the long paddle out and dropped in on a few giant Pico Alto bombs. 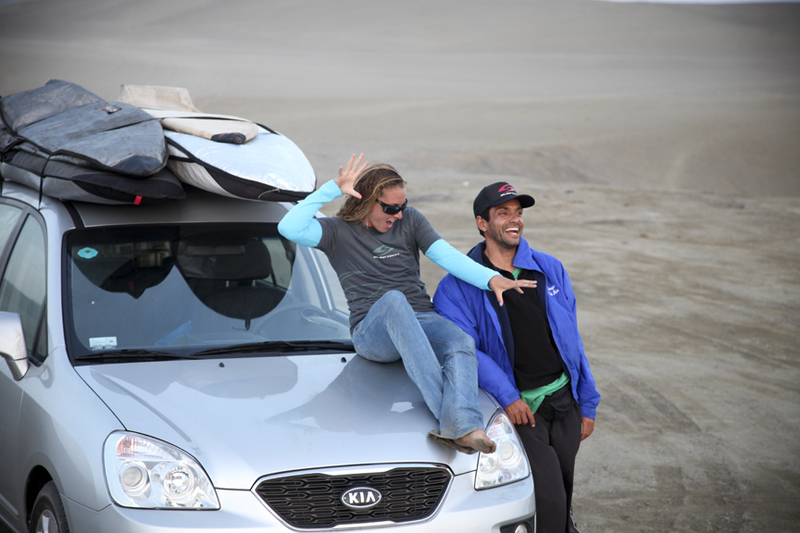 It was obvious that Leane had won Jaime over forever, and as a result, he agreed to surf one more session with us at Pico Alto before accompanying us on our way north in search of waves. Our first stop on our way north was a break called Bermejo, which is a big left in the middle of nowhere. After driving for hours through the desert, we pull up to the most beautiful left I have ever seen. The smallest sets were well overhead and the only thing separating Leane and I from the big, perfect lefts was the “canal de muerte” or channel of death as Jaime called it (which, to be honest was a bit of an understatement….). On the way out at Bermejo, you have to paddle out until you are hidden behind this big rock in the middle of the bay; and there, you wait for a break between the waves. 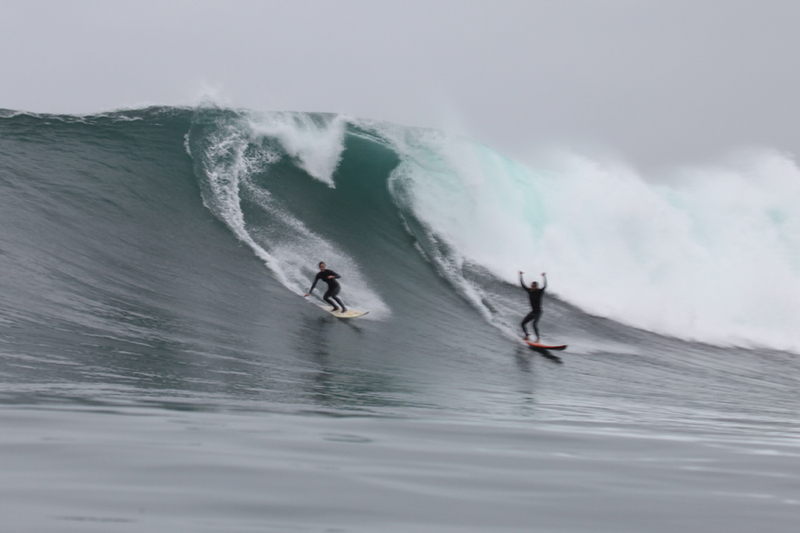 The magical (and slightly annoying when you are caught inside) thing about Peru is that the sets are consistent and they have a LOT of waves. Each set has probably 12 waves minimum, which makes getting out through them somewhat of a challenge. As instructed, Leane and I paddle out to the safety rock and wait for a lull. After bouncing around in the washing machine that is the inside for about 10 minutes, we saw our chance…or what we thought was our chance. As we began the frantic paddle out to the lineup (me on my standup board, Leane on her tiny 6’0 fish) we noticed some lines forming on the horizon. The lines marched their way closer and closer, more quickly than you can possibly imagine, and before we knew it, we were right in the middle of the impact zone. Now, I have been caught inside before…on numerous occasions, in fact. Taking waves on the head is nothing new to me, but getting destroyed by two of the largest sets of the morning wasn’t exactly a magical carpet ride. I watched helplessly as Leane and her tiny board got swept into shore and battled my way through left after perfect left, all sent, it seemed, to test my perseverance. It was like the break itself was trying to determine if I would earn the chance to surf it. *it should be noted that I do actually realize how over dramatic this all sounds, but it was bad, I promise. A little bit funny, even. Long story short, we scored. Bermejo is something special, and I think it will always hold a special place in my heart just because of the nature of the wave. Leane and Jaime had been patiently waiting for me to get my waves in as they stood on the hillside and took photos. Leane was preparing to paddle back out on a more appropriate board (the 9’1 Byrne, which is also magic), and as they made their way out to the lineup the day completely changed. The sun came out, and I think the waves got even a bit bigger. Leane is absolutely fearless when it comes to big waves. We finished off the day at Playa Grande recounting the session. Everyone was so happy, and as the sun went down, we made our way north to Chicama. Jaime and I discussing the barrel situation. Fantastic! You can just feel the beauty of those waves. Lucky you. Wow that’s just awesome! Great waves and rides! Aaaahhh am so stoked for you. Please score a few for me! 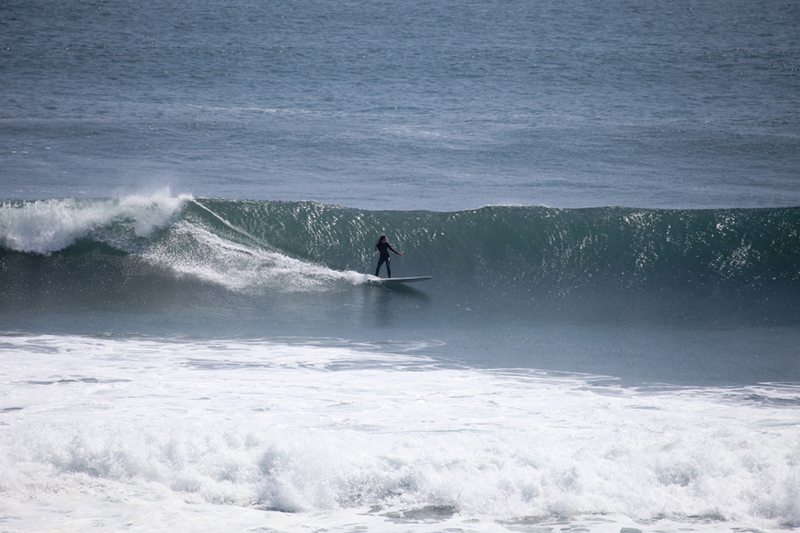 my born surf spot….at edge of 8 ( 1974 )….. and still ride there. …..